The TU850 MTU can have up to 16 I/O channels. The maximum rated voltage is 50 V and maximum rated current is 15mA per I/O channel (digital input) or 25mA per two I/O channels (analog input). 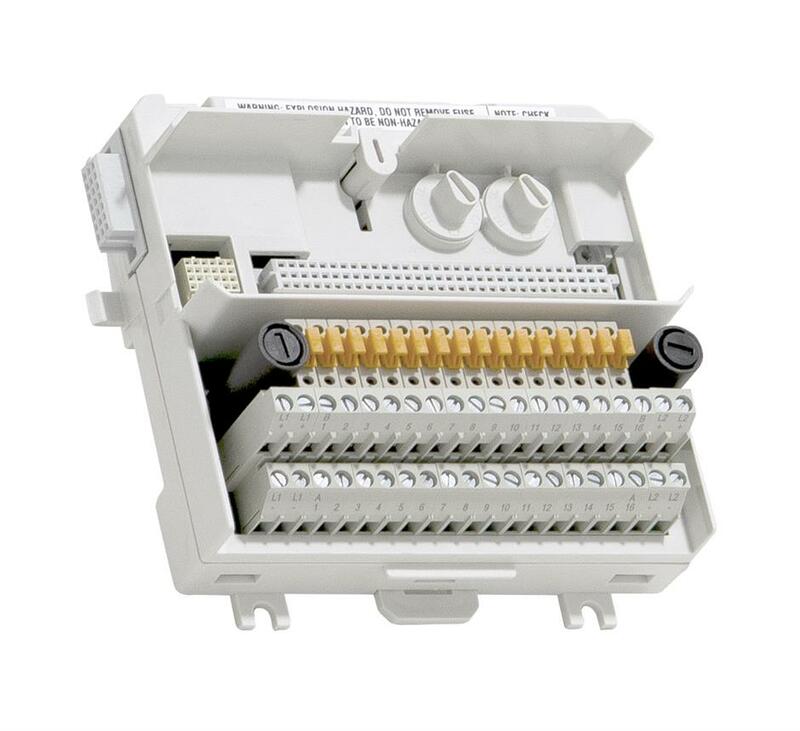 The MTU can be mounted on a standard DIN rail. It has a mechanical latch that locks the MTU to the DIN rail. Two mechanical keys are used to configure the MTU for different types of I/O modules. This is only a mechanical configuration and it does not affect the functionality of the MTU or the I/O module. Each key has six positions, which gives a total number of 36 different configurations. Complete 2-wire connections for up to 16 channels. Each channel has one current limited sensor/transmitter power outlet terminal and one signal terminal. Current limitation in sensor/transmitter supply is implemented with disconnectable PTC fuse.